A web series is providing two six-packs-worth of entertainment. Mike Camerlengo is the creator and co-star of 12 Beers, which explores a couple’s relationship during a night of heavy drinking. 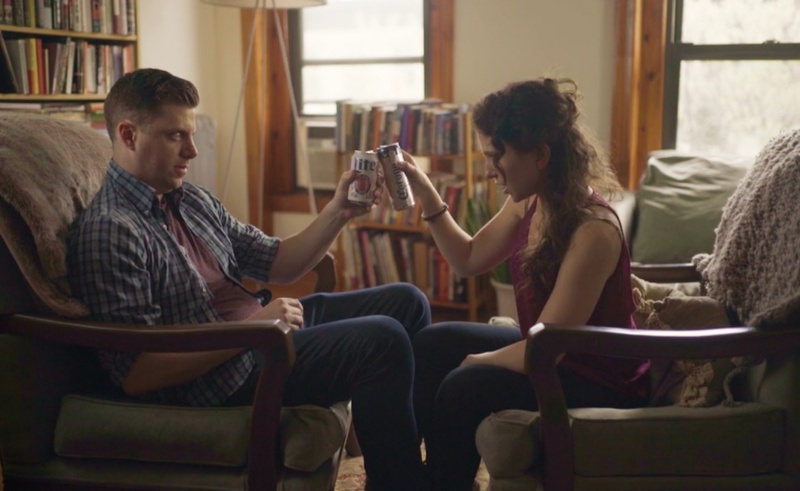 The show’s title is the name of an annual tradition for Danny (Camerlengo) and Sarah (Emily Kron), who block off a night to drink 12 beers each, air their respective grievances, and (if all goes well) ultimately reaffirm their commitment to their relationship and their shared lease. The first episode begins at beer number one, when Danny and Sarah are still relatively sober but are uninhibited in terms of their ability to throw verbal jabs at one another. 12 Beers from Mike Camerlengo on Vimeo. 12 Beers, as you would expect, generates plenty of its humor from drunken antics, but it is also a well-crafted shows that uses Danny and Sarah’s respective quirks as jumping-off points from which it can explore the nuances of long-term commitment. If the show’s title is any indication, we have 11 beers — I mean, episodes — left. I’ll be tuning in. #4Hire. The gig economy gets sent up in this series. You Only Die Once. A trio of besties fight supernatural enemies together. #Unframed. Web series are booming in India, and this show about artists is one of the best indie shows that country has to offer.